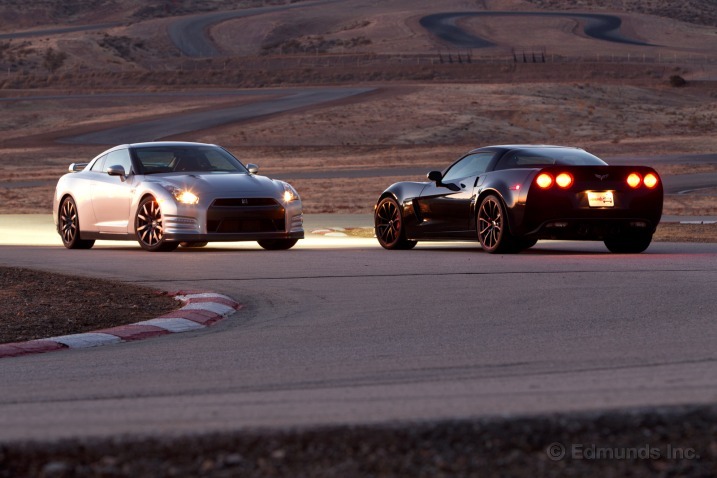 2013 Nissan GT-R vs 2012 Chevrolet Corvette Z06. The head to head tests cometh. In this one, with video from Inside Line, they pit the 2012 Chevrolet Corvette Centennial Edition Z06 vs the 2013 Nissan GT-R. What exactly makes a Centennial Edition? 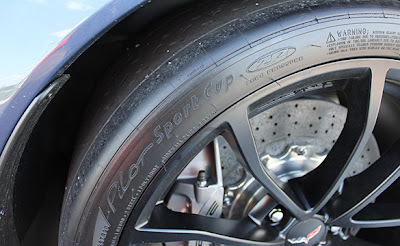 Our Centennial Edition test car features Brembo carbon-ceramic brakes, Magnetic Ride Control suspension and Performance Traction Management; the last a torque-limiting traction control that manages spark, fuel and throttle at five different levels of intervention (previously only available on the ZR1). In other words, the beast of a Corvette has been tamed by technology. In other words, its a very well equipped, and expensive Corvette. The Nissan GT-R has also had a good bump in price. Both the cars are coming in right around the $100k mark. And even though it has a 3.7-inch-longer wheelbase, is 7.5 inches longer overall and is packing an extra 642 pounds over the Vette, the GT-R actually feels smaller and more of one piece. Its best lap time was a 1:23.8. The Corvette was nearly a full second faster on the Streets of Willow Springs. Carbon Ceramic brakes, magnetic ride control, and the new Michelin Pilot Sport Cup tires make the Corvette Z06 shine on the track. And when the Vette did break its tires loose, it was in a more linear fashion than the violent nature of the GT-R's tires. When we checked the time sheet, the Corvette's best lap time was 1:22.7. The GT-R was quicker in a straight line, but on the track, and though the slalom, the Z06 has it beat. Both cars pulled around 1 G on the skidpad. Head over to Inside Line for the full results and pictures. Video after the break.